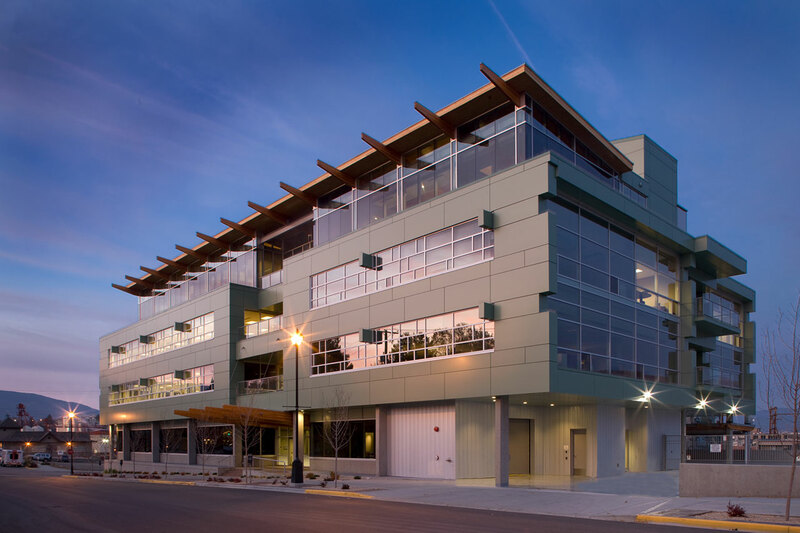 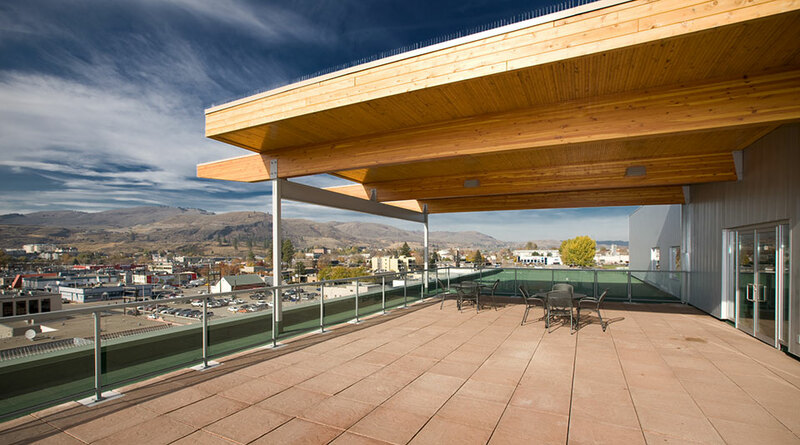 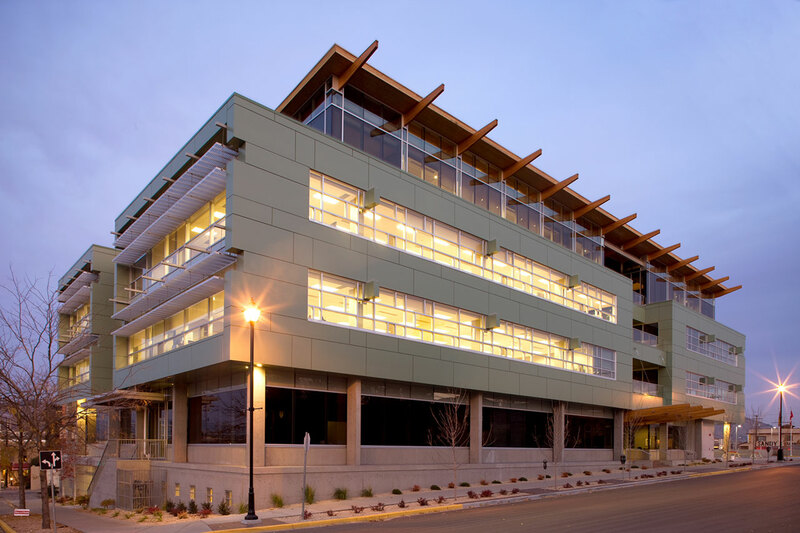 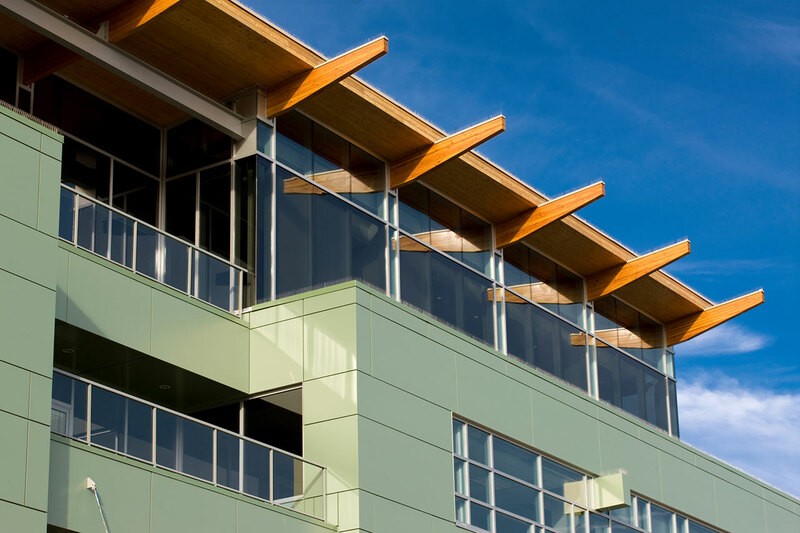 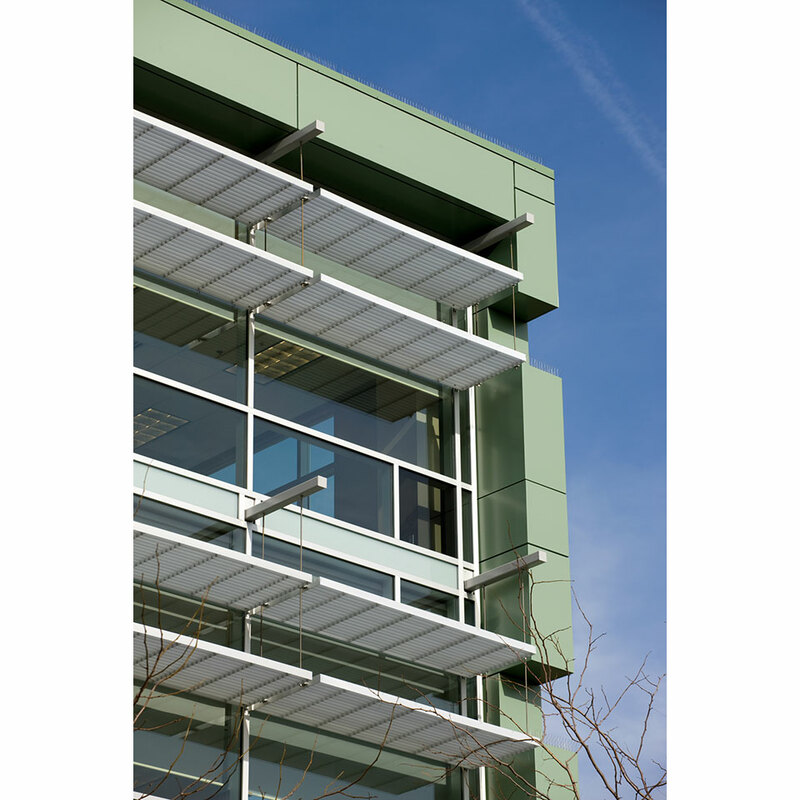 This building is based on an open-office concept, and incorporates several green features: a downtown location, high insulation values, low E window glazing, and shading devices against southern sun exposure. 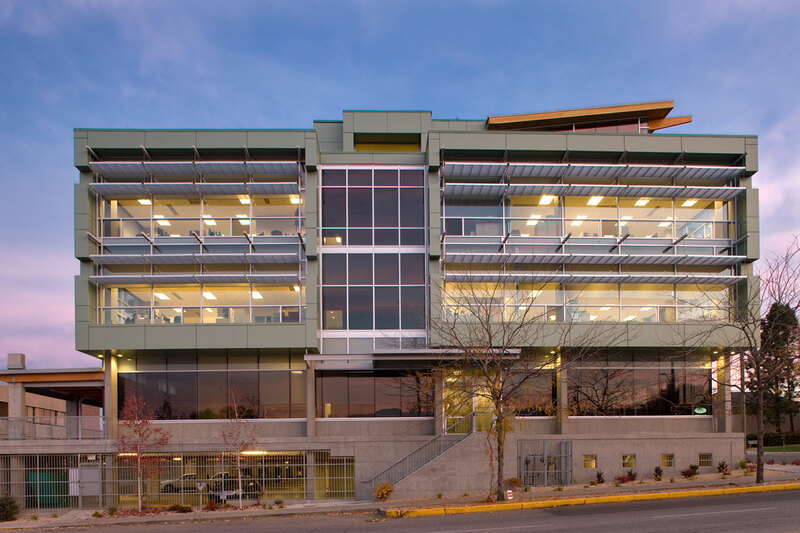 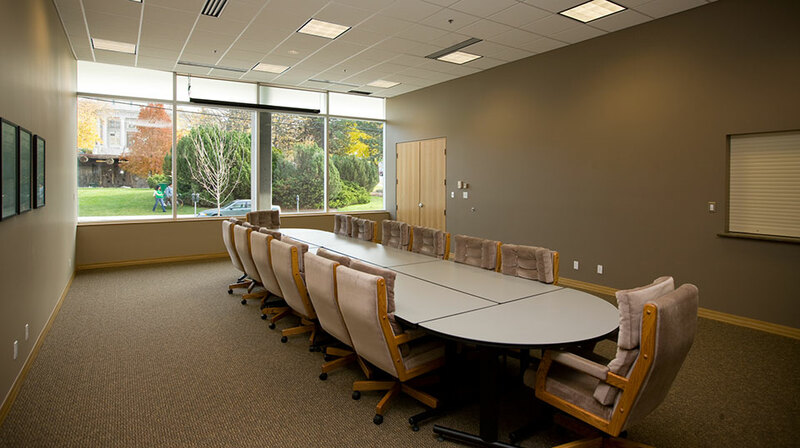 The building is approximately 60,000 square feet, and includes underground parking. 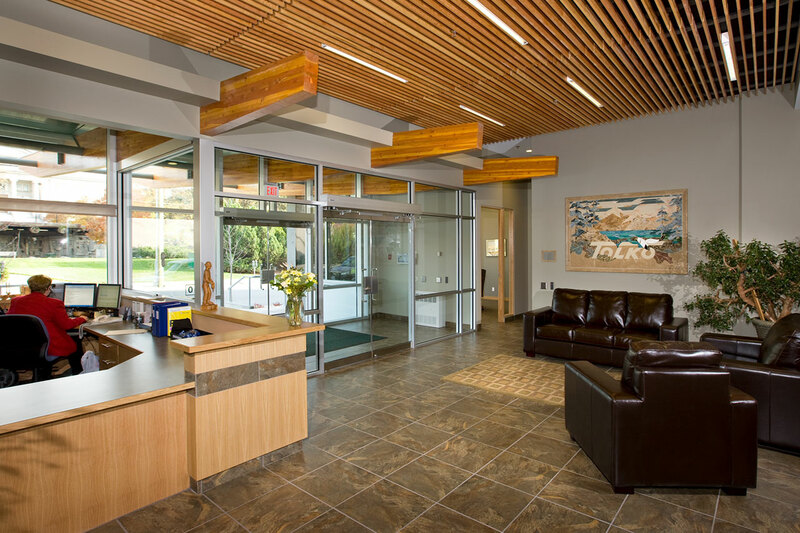 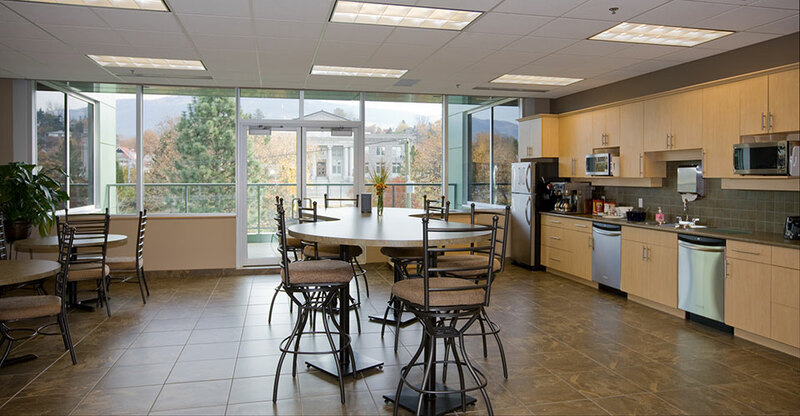 This is the head office and administrative hub for nearly 6,000 employees across North America. 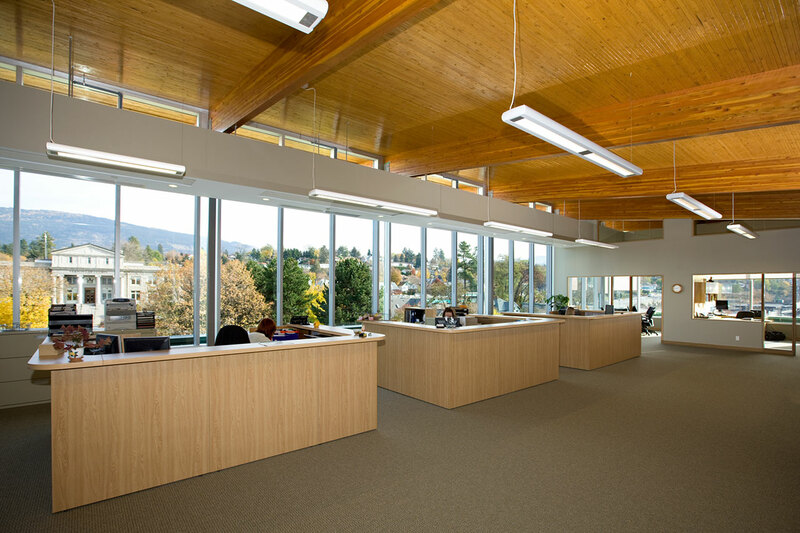 Meiklejohn Architects was assisted by CEI Architecture of Vancouver for this fast-track project.